Enthusiastic Mentor. Pastor. International Speaker. 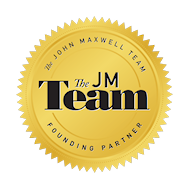 Founding Member with John C. Maxwell Leadership Team. Developing the YOU in You. They say that the most important part of building a house, is it’s foundation. The walls just don’t have the same strength without something to stand upon. You and I have been building on the basics of education from elementary school to post graduate degrees. In his new book, “Rebuilding Your Foundation of Faith,” Pastor Dean A. Brown takes us back to the basics of faith in God. He helps us become reacquainted with what it means to believe and trust God to the point of acting on what we believe. Leadership is the ability to influence others by inspiring them to soar far above what their natural minds can dream. By rebuilding our foundation of faith, you and I will be able to tap into the unseen force of God’s purpose and presence in our lives. It means, influencing our generation with the power of God and obtaining strategies to achieve the fulfillment of God’s promises. “Your faith plus God’s faithfulness, equals fulfillment.” It was Thomas Kempis who once said, “The loftier the building, the deeper must the foundation be laid.” Your spiritual foundation must be a solid, word based foundation. I want to encourage you to keep building your financial foundation, emotional foundation, your domestic foundation, and your self development foundation. But your greatest foundation is your faith foundation. Rebuilding it will forever ensure a lifetime of unparalleled Journey’s with your Heavenly Father guiding your steps for His glory. Rebuilding your foundation of Faith will help you get here in 2019. Pick up a copy of Dean Brown’s new book, and, Keep standing on the Rock! Several years ago Will and Jaden Smith starred in a movie called, “The Pursuit of Happyness.” In this powerful movie, Smith, plays the real life character Chris Gardener, a bright and talented, but marginally employed salesman. Struggling to make ends meet, Gardner finds himself and his five-year-old son evicted from their San Francisco apartment with nowhere to go. When Gardner lands an internship at a prestigious stock brokerage firm, he and his son endure many hardships, including living in shelters, in pursuit of his dream of a better life for the two of them. It’s a compelling bio-graphic tale of a man on a mission to pursue his life’s dream of being successful. One of my favorite movies that captures the essence of the human spirit and determination to soar above expectations. I believe that the “pursuit of happyness” is an inside job. Many people spend their lives searching for the true meaning of happiness. They’ve concluded that happiness can be found in money, material things, fame, or noteriety. God’s power working in our lives is the fountain of life worth living. My experience has taught me that you and I cannot find value, worth, acceptance, or self-worth, in the fragile relationships around us. The peace that flows from within and that transcends from our Creator, is the bedrock for the satisfaction that envelopes the life surrendered to God. The Top Ten Intimacy needs that people have: 1. Attention, 2. Acceptance, 3. Appreciation, 4. Support, 5. Encouragement, 6. Affection, 7. Approval, 8. Security, 9. Comfort, and 10. Respect -Can all be found in the person of Christ. The connection to your source of purpose, meaning, and true peace, was his purpose in dying on the cross. The pursuit of happyness dead ends in the arms of Jesus. So, you and I can keep standing on the Rock! This weekend we witnessed the 82nd NFL Draft. I have personally been a witness to many of these over the years, being that I have been a fan for many years. But what precipitated this Gladiator event, complete with personalities, speed, and finesse? It was the 1935 bidding war for a popular player named, Stan Kostka, a running back, who led the Minnesota Gophers to an undefeated season and became the salivation of every NFL team. After holding out for the most lucrative offer, the team from Brooklyn New York signed Stan for $5,000 dollars. The Draft was created to cut down on the creative ways of landing players the following year. There have been a plethora of players, Hall of famers, MVP’s, skilled, and talented players drafted in the 82 years of the draft. This week, Shaquem “the dream” Griffin, proved to all of us, “It’s never too late to be what you might have become.” The 141st pick by the Seattle Seahawks, helped me rekindle my passion for the game that I enjoy so much. Born just less than two-minutes after his twin brother, Shaquem has proven that not even Amniotic Band Syndrome could impact the heart and soul of a man determined to rise. My favorite pick in the 2018 NFL Draft at number 141, Shaquem Griffin! No protest, no arrest, no domestic violence, no drugs, no drama, just a great kid, with a great heart. The inspirational story of the year is Shaquem The Dream Griffin. You inspire us all to be better! Keep standing on the Rock!! The starting point of any great endeavor, is getting started. I believe in the beginning point of any project or goal. The energy and passion to launch out into the unknown, distinguishes those that achieve from those that simply, wish. Steve Harvey in his “after the show” empowerment session, roused his audience with an inspirational talk about taking the leap. You might be scared, you might be unsure, you may have even failed in the past, but you have to take the leap. The jump into the abyss of the unknown, separates the successful from the doomed to fail; the average from the above average. Dr. Martin Luther King, didn’t start great; the Wright Brothers didn’t start great; Lucille Ball didn’t start great; And Helen Keller didn’t start great. Greatness started somewhere, but it didn’t start great. So remember, the dream is not too big! And your not crazy for thinking like that. The promise, the potential, and the potency of your dreams will be a reality in your future. So, live out of your imagination instead of your memory and keep standing on the Rock!! In the world of coaching, a one size fits all mentality is not always correct. Every player or student has perhaps a unique way to be coached that is not common to everyone else. Seeing yourself as a resource for other people’s success, is part of the strategical purpose of coaching. It’s helping others to come into their own. Be true to yourself; 2. Make each day your masterpiece; 3. Help others; 4. Drink deeply from good books, especially the Bible; 5. Make friendship a fine art; 6. Build a shelter against rainy days; 7. Pray for guidance and give thanks for your blessings every day. My coaching business is designed to bring the best you to the path of your destiny. The power for life change is not found in the coach, but in the person who desires to take control of their life and to be accountable. This life transforming power comes from the individual who wants a life change, which is an inside job. The word “coach” derives from the horse drawn coaches that were developed in the town of Kocs during the 15th century. The vehicles were originally used to transport royalty, but in time they also carried valuables, mail, and common passengers. A Coach remains something or someone, who carries a valued person from where they are to where they want to be. Here’s my tips: 1. We’re better together; 2. “Nobody is a whole chain, each one is a link.” 3. Nobody is a whole team; 4. Nobody is a whole Orchestra. You have within you the power to win! So, Keep standing on the Rock and winning!